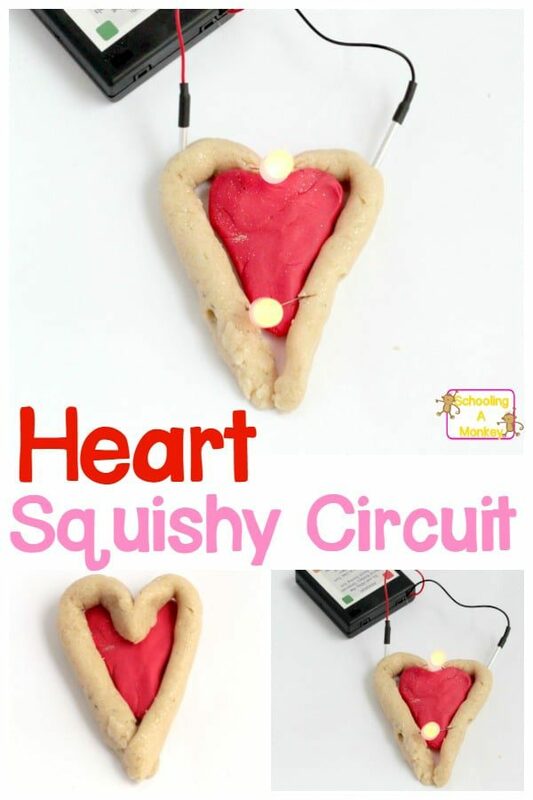 Kids will love this fun Valentine’s Day STEM activity featuring Squishy Circuits! 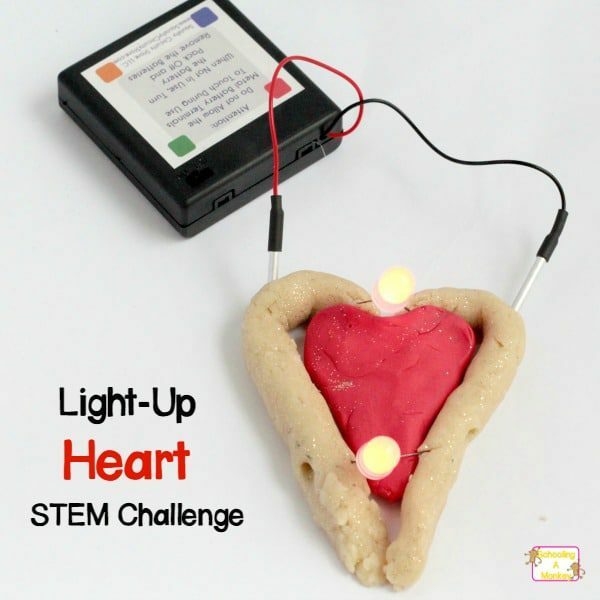 Learn all about circuits this Valentine’s Day with hands on STEM activities! 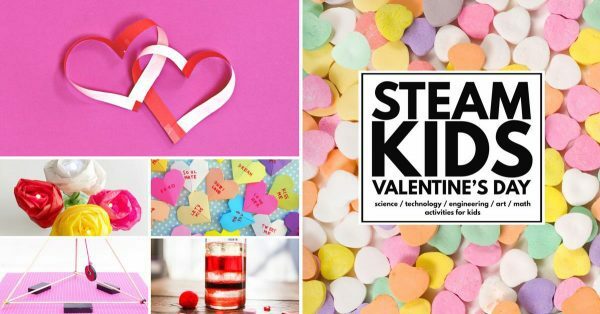 Valentine’s Day is all about love, candy, and puns, but you can also make Valentine’s Day about electricity and circuits! 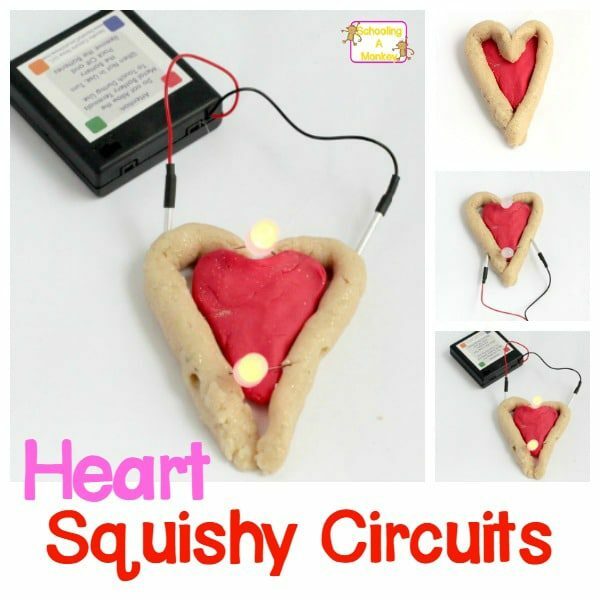 Make a light-up Squishy Circuits Heart engineering activity for kids and make your love connection electrifying! 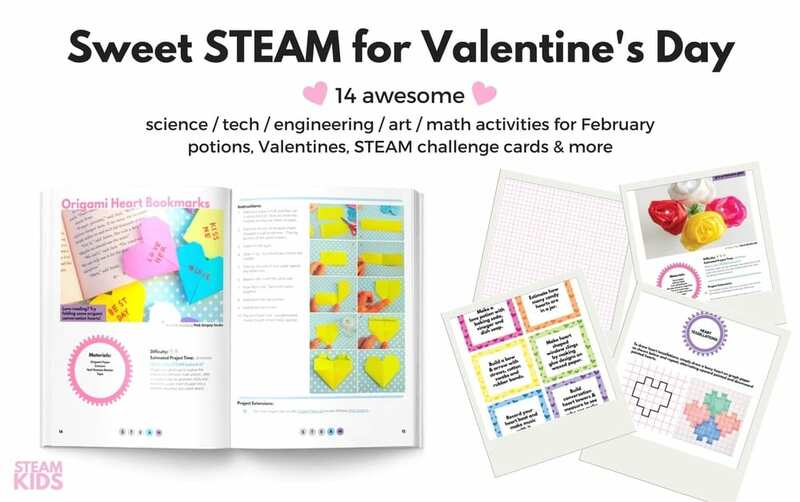 Related: 14+ Valentine’s STEM Activity Ideas! You don’t have to be an electrical engineer to help kids learn the basics of circuits. Who knew play dough could be so educational for kids of all ages? 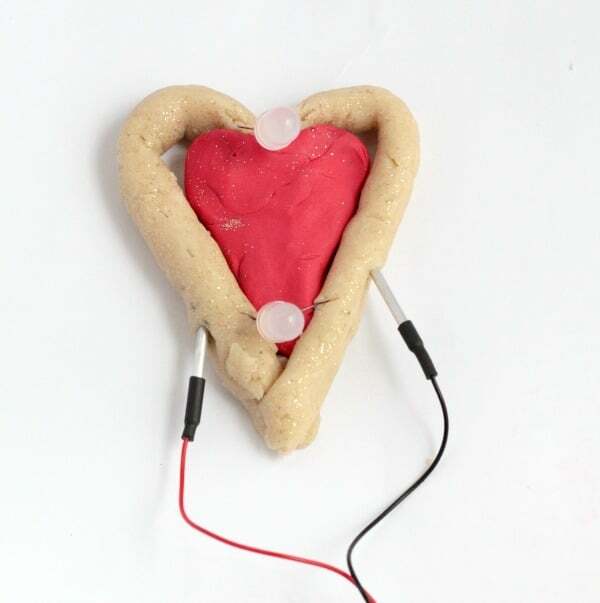 Before starting our project, I used the Squishy Circuits conductive dough recipe to make white dough. I added glitter for fun. 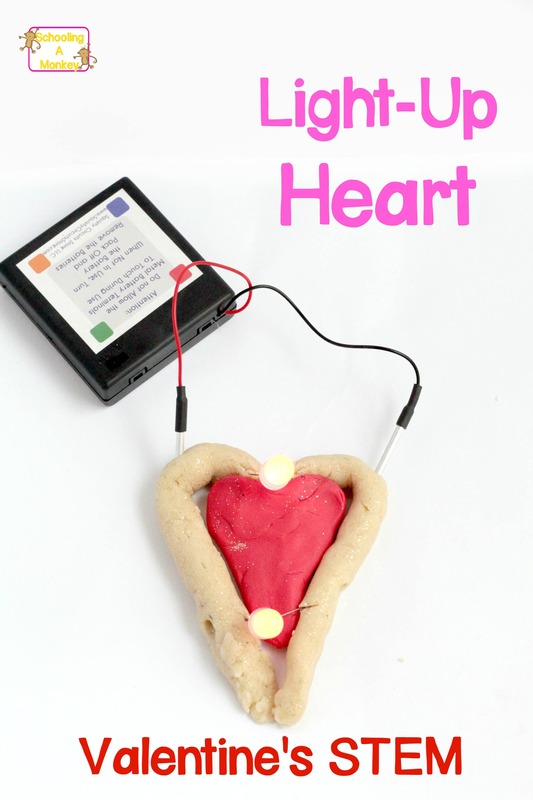 When the dough cooled, it was ready to use to build circuits! 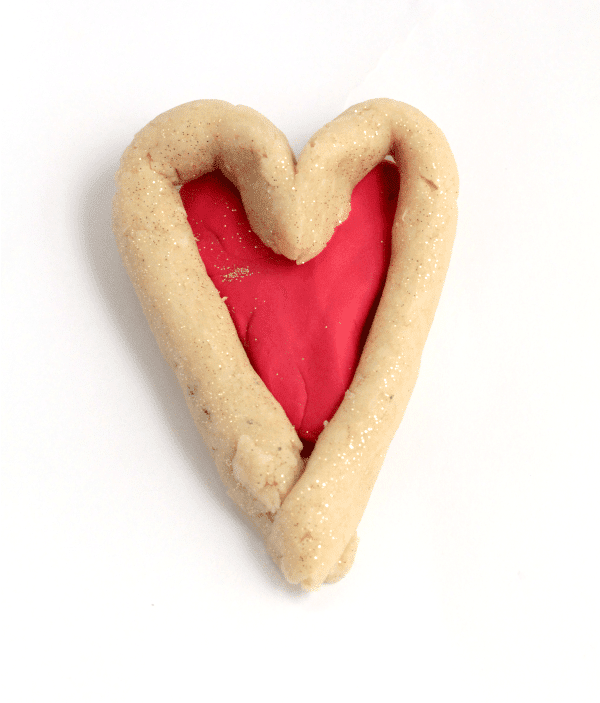 Monkey made an outline of a heart with a rope of conductive dough. She made the inside from red insulating dough. We found that if the two sides of the conductive outer circle touched, the lights wouldn’t light up. So we kept the two sides close, but separate. 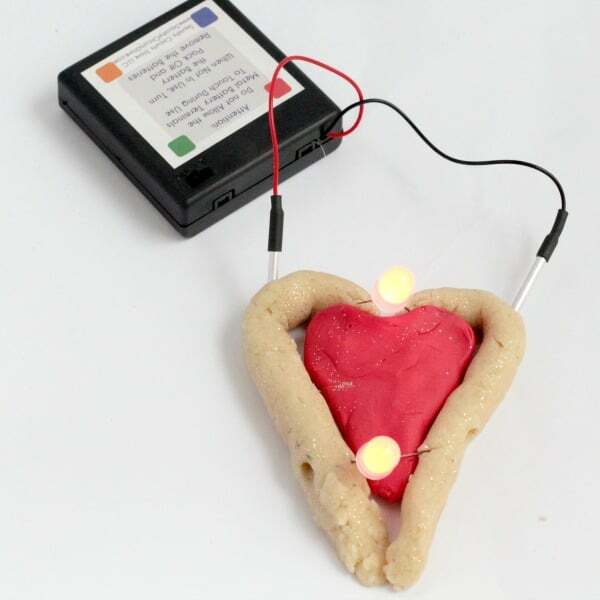 Monkey added two red lights to the top and bottom of the heart, making sure the long side of the LED light connected to the same side of the dough as the red battery wand (but don’t let the raw wires touch the raw battery wands! This can make a spark and give you a mild shock). Switching on the battery lit up the heart! Aww! You light up my heart!